Become a World Poetry Member! 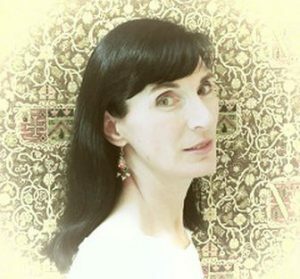 World Poetry Celebrates the Lovely Poetess Michelle Merlindt ! 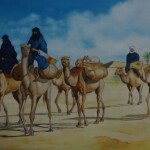 Exquisite painting by Mirwais Janbaz which was in the World Poetry Peace and Human Rights Exhibit at the University of B.C. Vancouver, Canada. 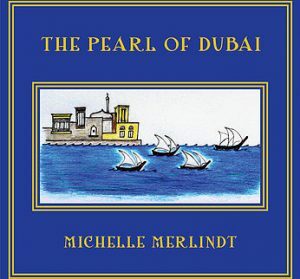 Ariadne’s Notes: On March 1, 1:10 -1:30 PM PST ,The World Poetry Café at CFRO, 100.5 FM Welcomed the poetess Michelle Merlindt from the Gulf Islands with a beautiful recorded poem called The Pearl of Dubai which was one of several poems on two CD’s . At 1:35, PM, PST the Children of Zion gave us a belated Black History Month Celebration with a variety of songs originating in Ghana. Thanks to the World Poetry Team of Ariadne Sawyer, MA, Host and Producer, Victor Swartzman, Engineer and special volunteer, Sharon Rowe, and Victor Obosi who brought the band into the station also. HEAR THIS AMAZING SHOW RIGHT NOW! Michelle Merlindt was born in a remote region of Australia and spent her childhood on a farm in the bush. Since then she has lived in eight countries. Due to her profession as a racehorse veterinarian, she spent thirteen years in Dubai where she first began to write and explore poetry. Now settled in the Gulf Islands of Canada she continues to pursue spoken word poetry in charming old-fashioned rhyme as a means of storytelling. Like a little piece of chocolate for the imagination, her poems are meant to delight the listener. Since she loves history and overlooked fragments of culture, each of her poems, set in a faraway land, is like a magical voyage to another time and place. On her website michellemerlindt.com she writes a blog in which she discusses the inspiration behind her stories. 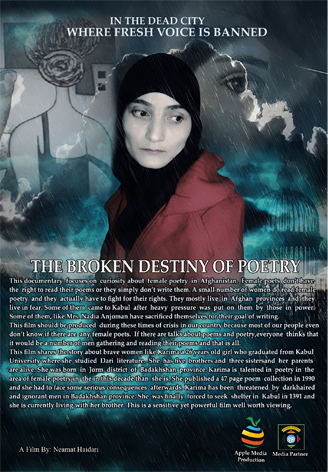 This entry was posted in Ariadne's Notes, E-Poets, Featured Poets, General, Radio Show, World Poetry Canada International Posters and tagged Author Sharon Rowe, Children of Zion, International Peace Award Ariadne Sawyer, Michelle Merlindt, Mirwais Janbaz, Victor Obosi, Victor Schwartzman on March 4, 2018 by Ariadne. World Poetry Canada International Peace Festival, April 4-30th At UBC! Award winning Michael Kwaku Kesse Somuah and Kwame Agyare Yirenkyi are coming to the World Poetry Canada International Festival! They just received their visas! I Invite all you to join the event and page. If you can’t attend the World Poetry Canada International festival you may share your poems on the Facebook page and we will post poems on the www.worldpoetry.ca site. The download link of the world poetry E-Anthology will be available during the internet launch and grand opening on April 4th at the University of British Columbia and on the Internet. As we help to reach our goal of one step closer to peace, I am eagerly waiting for the festival to get started and wish everyone great success. I want to thank everyone who has been is working day and night to get the festival off the ground. This festival is an wonderful dedication towards peace. I will not be able to attend there in person, however I will be there with spirit. All the best to the World Poetry family and all the poets across the globe. Please join us at the Internet Launch. “ Saleh Mazumder. Photo credits to Doc PenPen! World Poetry Canada International Peace Festival! 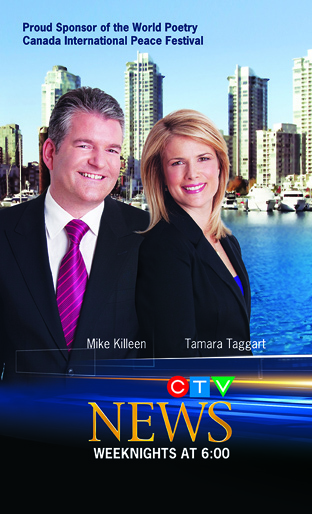 April 4-30, 2013. 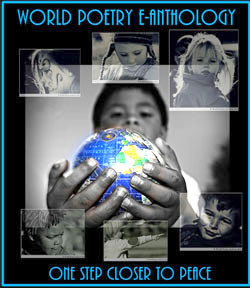 Please register at www.worldpoetry.ca and bring or post a poem on peace, a story about peace, a song, or a dance! Space is limited for all events, so please register early! Hosts: Yilin Wang, Ariadne Sawyer and Directors. Register on line, volunteer, enjoy! Come to one event or all three! For those who cannot be there in person, please send good thoughts for peace! Read your poem and a poem of a poet that cannot attend. Dance to the delightful music by Rio Samaya Band (Pancho and Sal) and enjoy the beautiful Jasmine dancers. 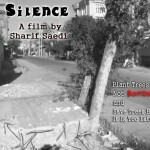 Watch the World Poetry Exclusive Short Afghan Film: “Silence” by Afghan Youth Poet Sharif Saedi. Light refreshments. April 11, Thursday, 7-9 pm,301, Lillooet room at the Irving K. Barber Learning Centre Cross country tour: Penn Kemp: Jack Layton, Art in Action. Poetry readings: Trevor Carolan, Ruth Hill and others plus international guests. Bring your stories about Jack Layton, poems and thoughts. We acknowledge the support of the League of Canadian Poets, the Guild of Canadian Playwrights and the Canada Council for the Arts. April 20, Saturday, 1-4 pm First Nations Wanda John-Kehewin “In the Dog House”, published by Talon Books. Navaho flute music by Angelo Moroni. Poetry readings by Bernice Lever and others. 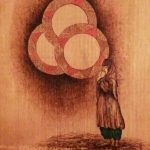 Music/ poetry presentation by Japanese composer Yoshifumi Sakura. 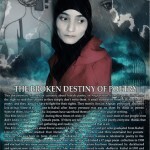 Broken Destiny of Poetry film. Join the World Poetry Peace Poetathon official launch as it flows around the world bringing a focus on peace with supportive peace connector partners. Displays: April 4-30th. 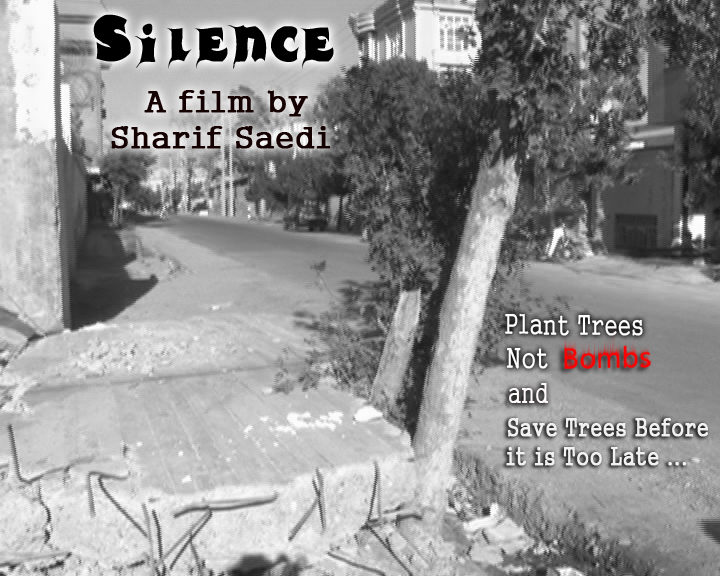 Peace Posters by Sattar Saberi, Doc PenPen, Jaypee Belarmino and poets, M&M, Mirwais Janbaz ,World Poetry and partners. 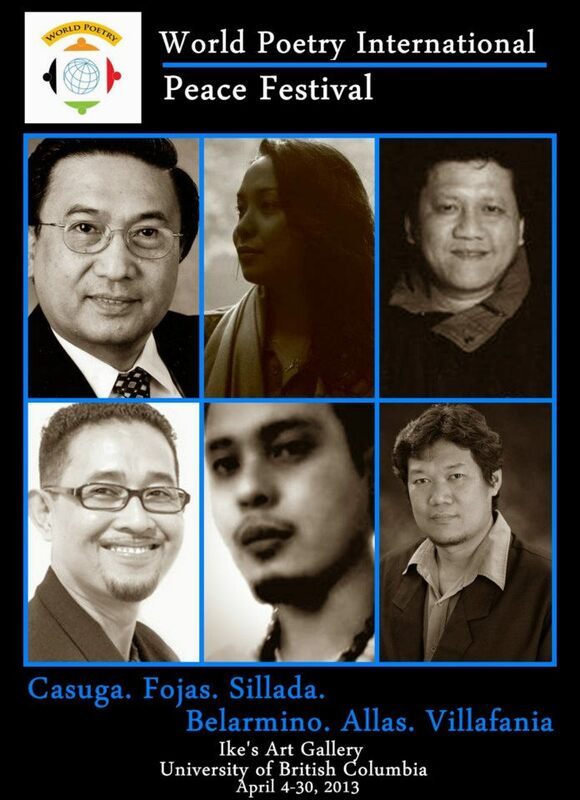 Awards to international guests and local empowered poets. Our wonderful partners in kind: Exclusive Media Sponsor CTV, Cinevolution, Ricepaper, Vancouver Tagore Society, Signature Partner: VAHMS, explore ASIAN, Irving K. Barber Learning Centre at UBC, www.ikebarberlearningcentre.ubc.ca/ The Jasmine Dance Club, Asian Canadian Writer’s Workshop, TAN, the Afro News and the City of Richmond. This entry was posted in Featured Poets, General, World Poetry Canada International Peace festival and tagged Ang Jaypee Belarmino, Angelo Moroni, Bernice Lever, Doc PenPen, Jasmine dancers, M & M, Mirwais Janbaz, Penn Kemp., Rahmat Haidari, Rio Samaya Band, Ruth Hill, Sajia Hussain, Saleh Mazumder, Sattar Saberi, Sharif Saedi, Trevor Carolan, Wanda John-Kehewin, Yilin Wang, Yoshifumi Sakura on March 19, 2013 by Ariadne. Visit the World Poetry Store! World Poetry Celebrates the Talented James Berkowitz! World Poetry Celebrates Ran Blake! Categories Select Category 2012. 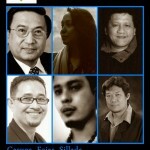 Ariadne’s Notes E-Poets explorASIAN 2012! Featured actors Featured Filmmakers Featured musicians and artists. Featured Poets General Newsletter Ongoing World Poetry Events Radio Show Reflexiones de Mujica-Olea World Poetry Canada International Peace festival World Poetry Canada International Posters World Poetry Lifetime Achievment Award Past and Present Winners. World Poetry New Westminster World Poetry Newsletter World Poetry Poetic News World Poetry Posters. World Poetry Prayer Circle World Poetry Publishing World Poetry Special Events World Poetry Youth Team WP International peace festival 2012.